This family fun event will be for preschool thru 3rd graders. 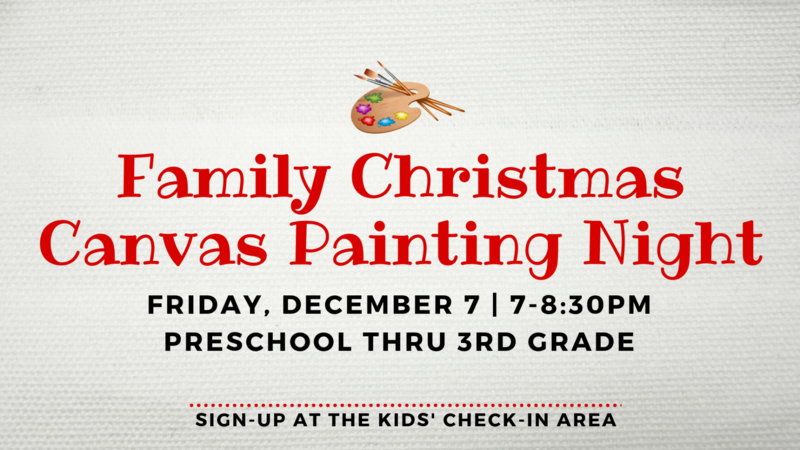 Families will plan to enjoy a snack and painting a Christmas canvas. Sign-up in the Children's Check-in area or at the Connect Center beginning in November.